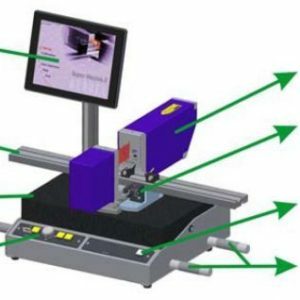 In addition to Aeroel’s Meclab offline measurement quality control laser gauges, we also supply Super-Meclab.X and Super-Meclab.T all-in-one metrology stations for benchtop or offline measurement. They measure diameter for pins, turned parts, drawn wire, dies, wire, fibre or extrusions. 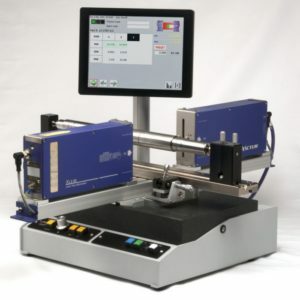 They both feature a built-in PC with special software, a granite base and integrated controls, and linear slide with micrometer adjustments and positional encoder and read-out. 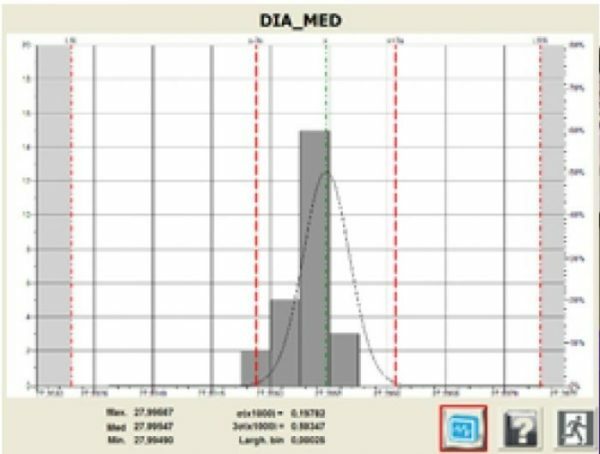 The Super-Meclab.T (Tools) has additional software for measurement and characterisation of cutting diameter, concentricity etc. for samples such as drill bits, fluted parts, reamers, mills and cutting tools. 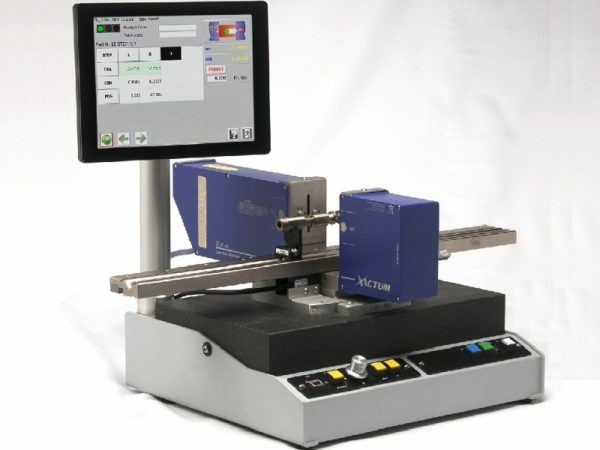 Both gauges can be equipped with a motorised, counterweighted fixture to rotate the component for measurement of min-max diameter, roundness and run-out. 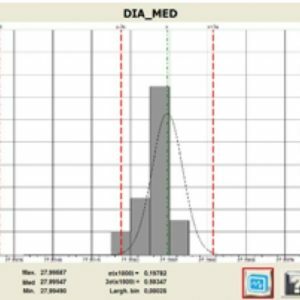 Through-feed mode makes measurement of multiple diameter positions simple, just by loading the product information from a library and pushing it through the measurement field. 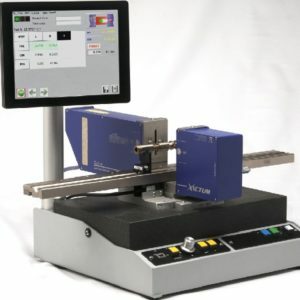 It measures diameter and ovality, run-out, edge position, taper, grooves or peak diameter, gap between parts and more.